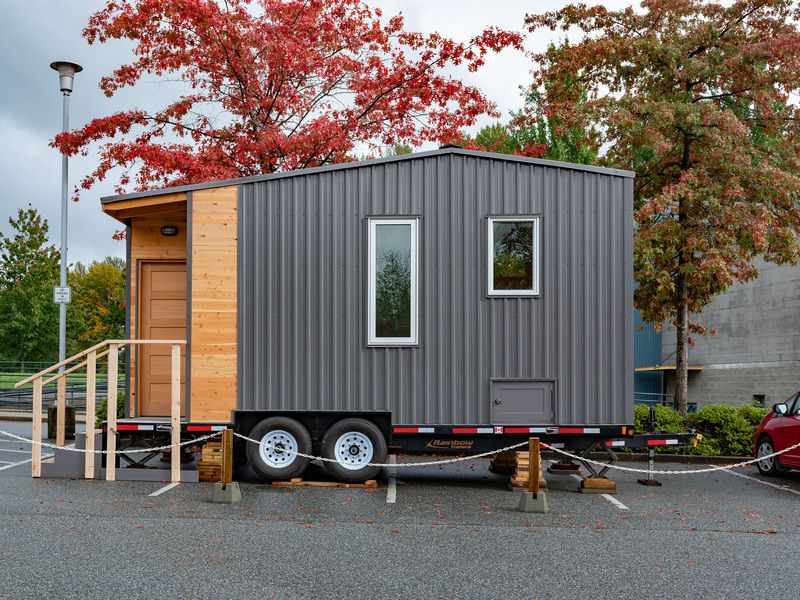 Today in the Lower Mainland, even living “small” seems out of reach. 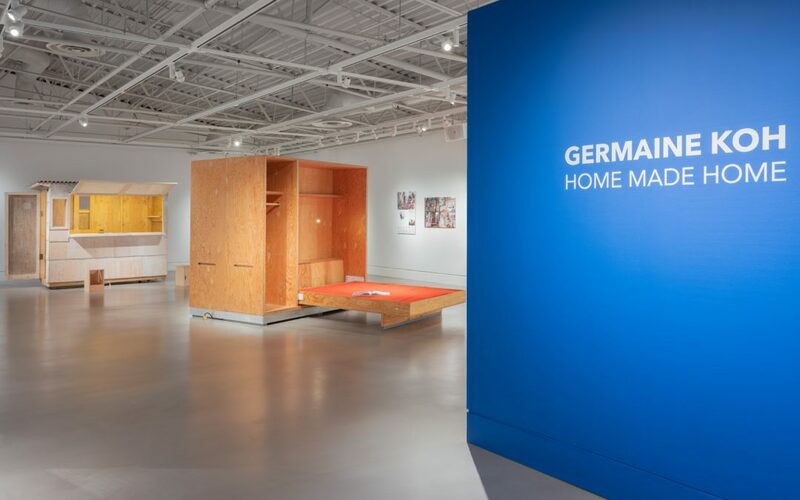 Artist Germaine Koh proposes a do-it-yourself approach to the challenges of our current housing climate in her exhibition Home Made Home. 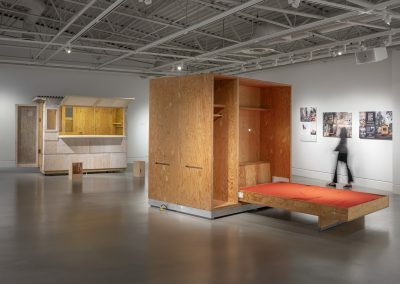 The artist asks: “What other forms of housing can you imagine?” Building prototypes, functional structures and small dwellings, Koh draws attention to alternative means for modern living. 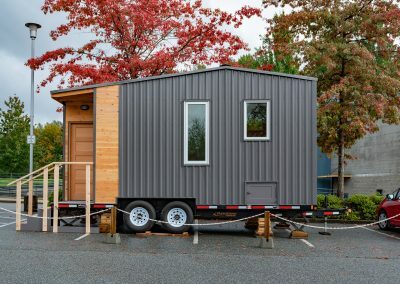 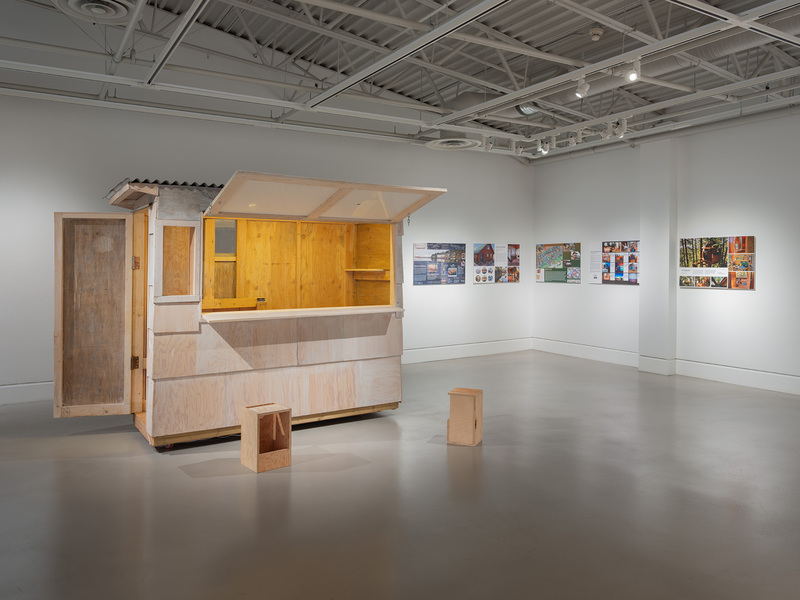 Koh is a Canadian visual artist based in Vancouver, although she spends a great deal of time on Salt Spring Island, where much of her building takes place. 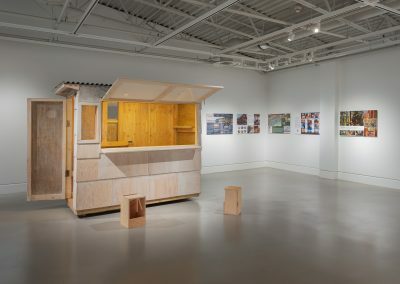 Her approach to her art exemplifies what it means to have an artistic practice that allows for the kind of continual learning that happens through making. 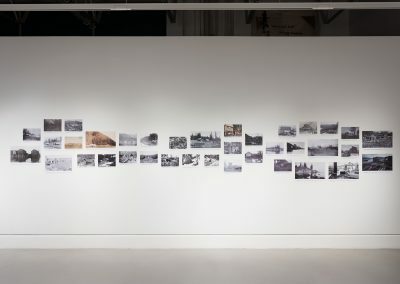 Her resulting artworks demonstrate her ongoing investigation of the significance of everyday actions, familiar objects and common places. 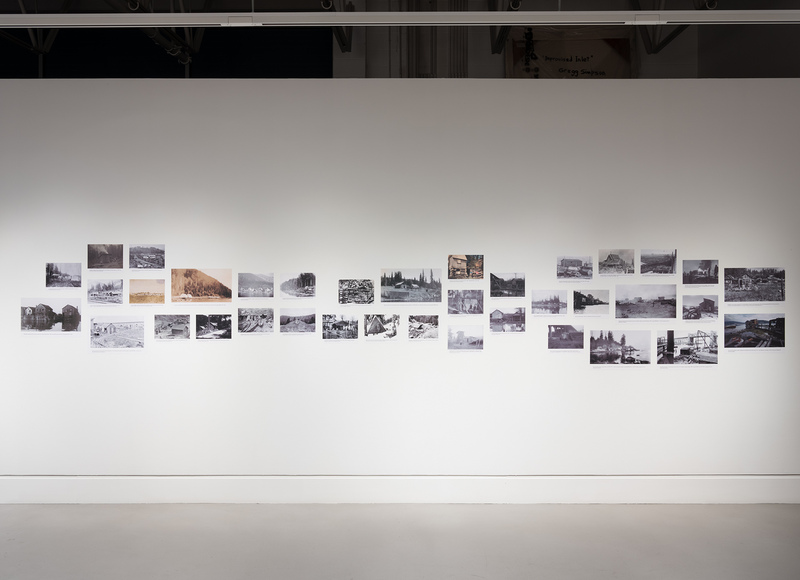 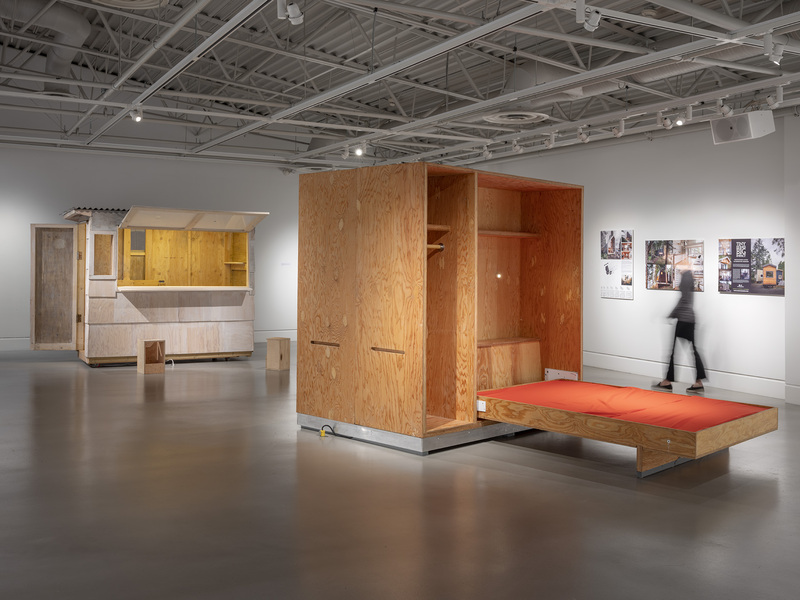 All images: Installation view of Germaine Koh: Home Made Home, exhibition at the Art Gallery at Evergreen, 2018, Photo: Rachel Topham Photography.